You might have money and not even know it. In some cases, you might have property or cash that has been sitting with a state government, unclaimed. Thousands of people find out that they have unclaimed property, sometimes called missing money, every year. As long as you know what to do about it, you can claim what is already yours, and enjoy a bit of a windfall. What qualifies as unclaimed property varies according to state. For the most part, insurance companies, investment companies, utilities, banks, and other business (like medical testing businesses), are required to turn over inactive accounts. This property is considered “unclaimed” or “abandoned.” If you can prove you own the property, you can claim it for your own. Many states use this money to fund various operations. The money is still yours, but states can earn interest on it. Once you prove that you own the money, you can claim it, and the government will turn it over. 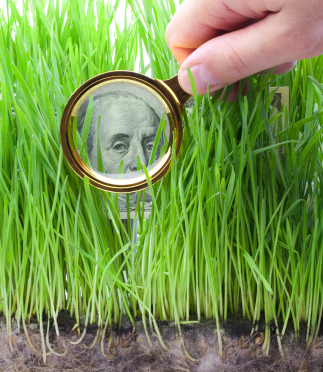 It’s possible to fairly easily locate your unclaimed property, if you have any. One of the best places to look is MissingMoney.com. This site lists unclaimed property held by states, where the money came from, and how much is available. It’s also possible to use the Treasury Hunt tool at TreasuryDirect.gov to find out if you have unclaimed savings bonds. The FDIC and NCUA offer tools for finding money at failed financial institutions, and the Pension Benefit Guaranty Corp also provides information about abandoned defined-benefit plans, and the National Registry of Unclaimed Retirement Benefits offers something similar for 401(k)s. Sometimes, you’ll actually be called in the event of a forgotten account. In order to claim your money, you will have to prove you are the true owner, through documentation. In some cases, the unclaimed property you find actually belonged to someone who has passed on. In that case, you will need to show a death certificate, and prove that you are an heir, and authorized to collect the money on behalf of the estate. Once you locate your unclaimed property, find out from the agency that has it what you need to show as proof of your right to it. Realize that you don’t need to pay anyone to claim your property. There are firms that can track down your unclaimed property and help you get it back, but these are completely unnecessary. You can get the information for free, and there is no reason to ever pay anyone to get what’s already rightfully yours. The best step to take is to go to directly to your State Controller’s website. This is the single best source to check and see if any money being held by your state belongs to you. Your state’s site will direct you on the proper steps you need to take to collect your money. With a few minutes of digging, you can find out if you have unclaimed property waiting for you. It’s not a bad way to spend a little time, and you just might profit from it. If you received unclaimed money from a life insurance policy from an heir, do you need to pay taxes on that? Or were taxes withheld at the time of the payout? if your unclaimed funds were from the sale of stock, do you need to pay taxes on this on your personal tax returns or were taxes taken out at the time the state sold the stock? a company contacted me turns out they want 25 hundred to turn over 91 hundred of alice p jorgensen’s estate unclaimed money . They’re from king of prussia , pa . (Mom) I’m glad i saw your page . If you owe taxes will it come out of the unclaimed money? Thanks a lot for your precious suggestion regarding unclaimed property search. And I am sure like me many people will be benefited from it. Will you have to pay any taxes if you find out there is money to be claimed? You would not have to pay taxes on unclaimed property. These are typically reimbursements of money that is owed to you. Thank you for giving me this important tip about finding missing money. I am very impressed to read your blog because your blog is very creative. Finding missing money is not a matter of joke. The effort of your team with this work is undoubtedly fabulous. I wish all your projects become successful. I worked @ Marshfield Senoir High School doing laudry. They started a pension for me. How di find it?